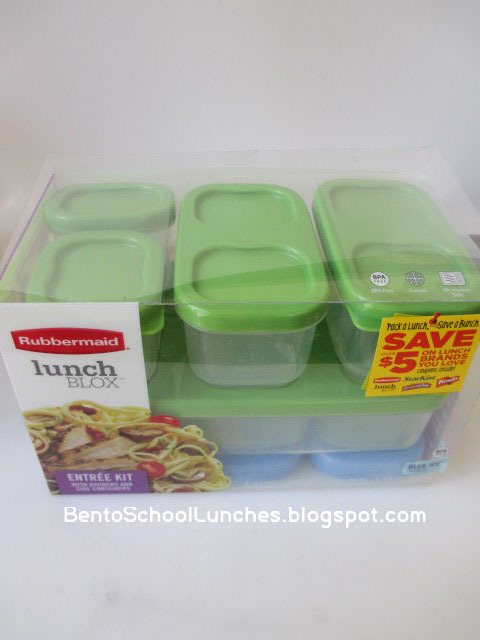 Sometime back I purchased a Rubbermaid Lunch Blox from our local Target store. I though it will be a great back to school lunch box. I particularly like the slide in dividers to keep different foods separated. Rubbermaid sent me the entire Lunch Blox Entree Kit and also a Lunch Bag as a thank you gift recently. I found the lids are secure and the containers snap on the cold pack perfectly. They are also durable and the pieces interlock well. 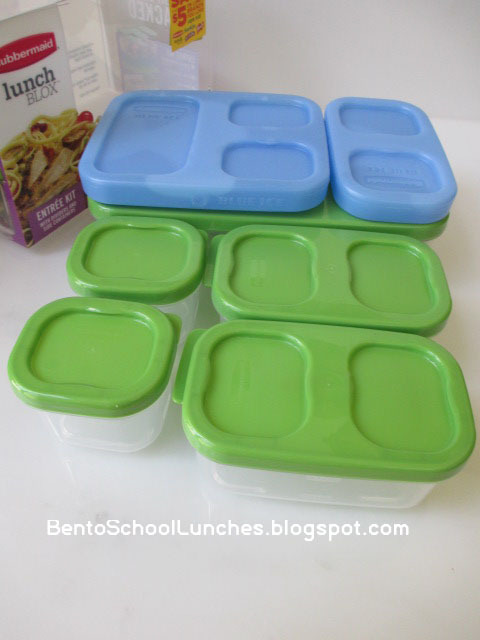 The Lunch Blox containers are BPA free, leak proof, microwave, dishwasher and freezer safe also. 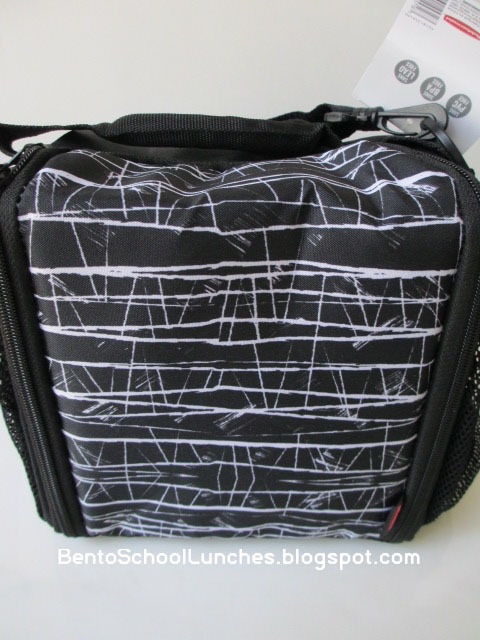 Make sure to check back for more reviews on other lunch boxes. I especially like it when the lunch can be carried flat and love this lunch bag. The bag features a bottle holder, side pocket, comfort-grip handle and removable shoulder strap. 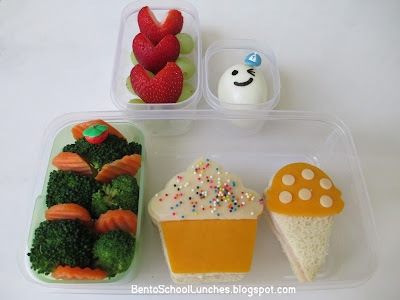 In the bento: From the top to bottom, seedless green grapes with strawberries cut into heart shapes. Eggland's Best Egg fits nicely into the small container which isolates the egg smell from other foods, blanched broccoli florets and carrot chips, cupcake and ice cream cone sandwiches with asaigo and colby cheese accents, some sprinkles topped the cupcake. 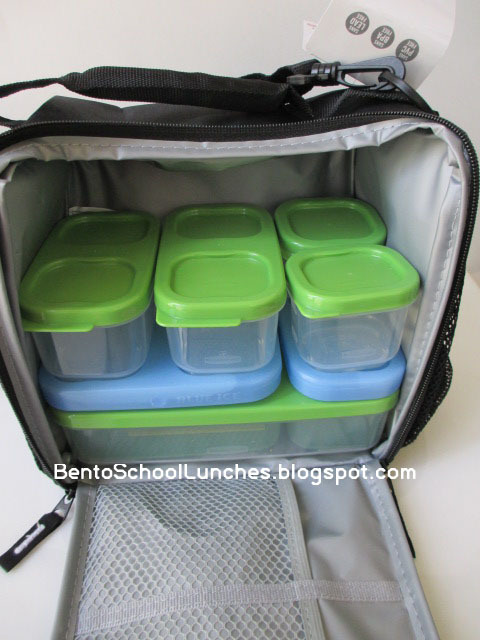 I like your lunch boxes ideas and your lunches are very cute! My kids will have me making lunches for them when they see your blog! NIce little Boxes. Good for a Picnic. I like the black bag. An I love the Muffin/Cupcake and Icecream Sandwich! Yummy!